This an incredible picture of a man cutting his way out of a shark that had eaten him. The story is that he’d actually caught the shark and while he was about to kill it with a knife, it actually managed to eat him! Apparently the dude was really little and only weighed 60 kg so was effectively ‘small fry’ for the shark. So having been swallowed with knife in hand he managed to get his arm out through the gills and started to cut himself free. When I see pictures like this I wonder why the cameraman waste time taking damn pictures and not help the dude ?! 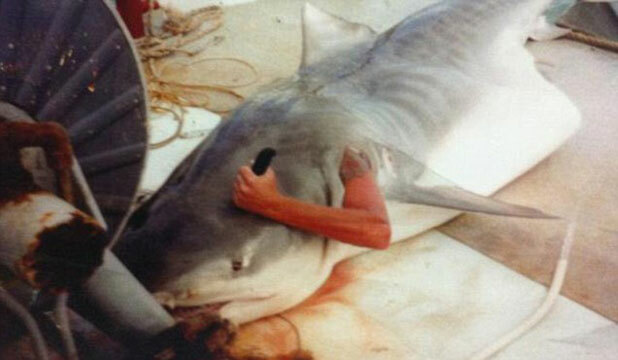 Here's a series of pics which show a dude that actually got eaten by a shark. Def NSFW.